Mistakes can be costly. They also can be so painful they keep you from venturing any further ahead. Of course, that's true with almost anything tech-related, but IT managers will tell you that there are some common, and potentially damaging, pitfalls that anyone looking at a cloud migration should work to avoid. Migration mistakes can cost the enterprise money and time, and eliminate or reduce any expected increases in agility as well as speed and cost savings. Those stumbles and losses could cause business execs to back off from a bigger cloud migration. It also could cause execs to lose faith in their IT leaders. "This is part of the learning curve," said Deepak Mohan, an analyst with IDC. "The negatives are attributed to the cloud and not to these mistakes that need to be corrected... If a company does not realize the cost savings and they fail to see the results they thought they'd get, the result is that there is a drop in faith and a lowering of confidence in your cloud strategy. And that will cause a slowdown in adoption." Part of the issue is that the cloud is really a different beast for a lot of IT shops. Everyday IT jobs, like data storage, app dev and resource allocation, suddenly need to be thought about and handled differently. "What we learned is that while it's easy to get started, cloud is completely different from IT," said Temujin Baker, senior manager of engineering and architecture for King County, Wash. "How you run your business in the cloud is different than how you run it" on premises. "There are changes in how you do your work, the skills that are needed, the process." King County, with 220 connected sites and more than 13,000 employees, started migrating to the cloud in 2015, using AWS and Microsoft Azure. It started with 1,600 on-premises applications and now has 30 of the 1,600 running in the cloud, with plans to move 120 more to the cloud this year. The county will consolidate and modernize some of its on-premises apps, so not all will move to the cloud. Aaron Barak, King County's director of operations, said 2015 was all about seeing where the pitfalls lie and figuring out the best ways to avoid them. "The first year or two was really about learning and getting our staff ready to support the move," said Barak. And while Daniel Morreale, CIO of Hunterdon Healthcare System in Flemington, N.J., said there definitely are pitfalls in the path to the cloud, there are ways to avoid them. "I expect that each instance is going to be a little bit different so there will always be an opportunity to make a mistake and then learn what you did wrong," he said. "Making my data accessible from anywhere in the world and the capacity to eliminate a lot of my hardware and not cooling my data center and dealing with power, it makes moving to the cloud a good value proposition." 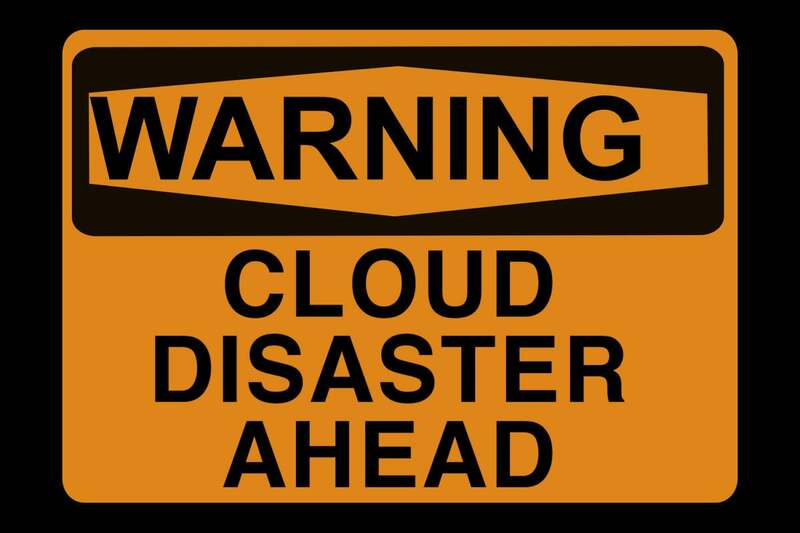 Here is some guidance from IT people who have started their own cloud migrations, as well as from industry analysts, on some big mistakes to avoid in your own move to the cloud. One of the mistakes that Dave Bartoletti, an analyst with Forrester Research, Inc., warned against is failing to analyze a company's applications before considering any kind of cloud move. "The first mistake is trying to do too much," said Bartoletti, adding that IT managers need to start the migration with a small set of applications. "You need to run a portfolio analysis -- either with a consultant or on your own -- to determine what apps are good for the initial migration." For instance, organizations need to split their applications into two initial groups - apps that will be migrated and apps that will be replaced. It generally wouldn't make a lot of sense to migrate an on-premises email application when an enterprise simply could start using a cloud-based app, like one in Microsoft's Office 365. Bartoletti also recommends IT managers check how compliant-sensitive an application is. "The cloud is a safe place to run compliance-sensitive workloads -- but don't make your most sensitive data or applications the place to start your migration," he warned. Companies also should be aware of applications that have an elastic load pattern. If an app tends to have workloads that drop and spike, then it's a good candidate for the cloud where it easily can be scaled up and down, taking advantage of cloud pricing so a company isn't paying for hardware when it's not using it. Hunterdon Healthcare's Morreale said they made a mistake during their initial cloud migration because they didn't do enough application analysis. The single hospital -- with 186 beds, 60 ambulatory locations and about 3,000 users -- is in the process of moving to the cloud and is completely doing away with its data center. The company started the move last June by converting its email system to Google's cloud-based G Suite service. A mistake Morreale said they made when moving to G Suite from Novell's GroupWise was not analyzing what their users needed from their old email system and not figuring out how differently G Suite was going to work from what end users were accustomed to. "G Suite and GroupWise do calendaring pretty differently," he explained. "We did not provide our executive assistants who manage multiple calendars at the same time with the tools they'd need to be efficient. We recognized that by day 2 and saw that we had messed up... The needs were not adequately explained or understood. We ...admit that we blew it." Morreale turned to IT consultants SADA Systems, which sent someone in for a week to sit down with the executive assistants in small groups and one-on-one sessions to help them learn how to handle their calendars. When King County migrated its enterprise backup, they too erred in fully analyzing their app. Baker explained they did a lot of testing when it came to moving the data to the cloud. What they didn't do was test how it would work getting the data back for an actual restoration. "The purpose of the backup system isn't to back up, but to restore," he said. "The performance of the restoration wasn't there because we hadn't done the full testing of the application. With an on-site restore, it starts as soon as you press a button. With the cloud, there's a three-hour-plus window where the service has to go back and get that data before we get a restore. That's something that we hadn't fully anticipated." The lesson was to test the whole process the way it will be used. King County's Barak added that factoring in the time it takes to retrieve the data and send it back, with a large outage, the delay could have extended to 24 hours. Forrester's Bartoletti said another major mistake enterprises make is to not do a business analysis before they launch a cloud migration. "Starting without a clear business case means you don't know what the benefit is going to be," he said. "You need some analysis to see if this will actually save you money... Just picking up an application and moving it to the cloud sounds easy -- but why are you doing that?" During the business analysis there are key questions to ask. For instance, do you need your apps to run cheaper or faster in the cloud? And how can you optimize your applications so they will run cheaper and faster? Also, which migration tools will best fit your move? "Selecting those tools takes time," said Bartoletti. "You don't just Google search tools for migration and use the first one that pops up." He also suggests that IT managers profile an app's behavior and figure out what resources it needs, compared to what it's currently using. "You don't want to go to the cloud and request a terabyte of memory when you don't need it because you'll pay too much," said Bartoletti. "You need to be 100% clear on what that app really needs, not what it has been using." John Trujillo, an assistant vice president, technology in the retirement solutions division at Pacific Life Insurance, said they began migrating to the AWS cloud in 2015. "There were definitely mistakes that I could see that, to some degree, we made," said Trujillo. "One is that cloud is not a strategy ... It's a tactic toward achieving business strategy and business objectives, like agility and innovation. What are the business drivers to getting to the cloud? It's not just about getting there." For Trujillo and his team a mistake was not putting the benefits of moving to the cloud in clear enough business terms to senior executives. "The speed of business is increasing," he said. "The work is growing. The cloud addresses those realities but [business executives] didn't understand that... We were assuming they understood and were not really helping them understand what the cloud is and how it leverages into business value." Of course, one of the biggest draws to migrating to the cloud is the cost savings. With apps running in the cloud, companies don't have to pay IT workers to do things like manage email, deal with costly data centers, buy as much hardware and keep applications operational. The issue is, though, that there are costs to cloud migration too. For instance, Bartoletti said IT managers often overlook the cost of moving storage. "The most expensive part of migration is often moving storage or the data," he added. "It might require a 100-gigabyte data base. The cloud providers don't generally charge you for moving data in, but it could take several weeks or months if it's huge. You want to estimate in your migration project how long it will take to move your data." "There's definitely an upfront cost in getting to the cloud. There's no doubt about that," he said. "Data storage in the cloud, properly configured and architected, can be significantly cheaper" than what we do on-premises today. "Moving it into the cloud is more of a people cost." IDC's Mohan noted that it also can be costly to forget to reallocate people and resources. "You need to spin away the ongoing costs and the manpower costs related to an operation" that you used to run on premises, he said. "If you're reducing your data center needs, can you cancel the lease or sublet it and figure how you'll use the workers who used to run that for you." Trujillo also warned that IT managers might not consider how much they're going to be distracting their IT team during a migration. IT workers, who might otherwise be focused on business-specific jobs, will be working on the migration. That will slow down or postpone other projects. Of course, the promise of the migration is that once it's in place, those same workers will have more time to be free from many of the old mundane tasks so they can focus on business differentiation and advantage. Many IT staffs probably don't know a lot about the cloud, especially if this is their first migration. And finding cloud-savvy people can be challenging and expensive. Without that cloud knowledge, a migration can take longer than expected and run into more problems. And, possibly even worse, once the migration is over, IT might find they've simply moved their old on-premises mess to the cloud. IT workers, and managers, need cloud training, and consultants may be needed, so IT not only understands how using the cloud works but they also understand about modernizing applications, so they take advantage of cloud services. "One of the mistakes we made early on is not fully appreciating how scary this can be to people who have been in IT for a long time," said Pacific Life's Trujillo. "One of the critical things we didn't do well enough up front was help the rank-and-file IT staff understand that this might be scary at first but it's really an opportunity for them to stay current and fresh in the industry." In the absence of proper training, there also is more risk of legacy thinking being brought into the cloud." Moving beyond legacy thinking will help IT managers avoid a major pitfall of cloud migrations. "IT needs to consciously change their thinking and their processes," said IDC's Mohan. "The process change is the piece that enterprises often fail to consider." The issue is that the cloud is much more than just picking up an application or data and dropping it in the cloud. The real benefit to the enterprise is taking advantage of cloud services, like mobile back-end services and performance management services. Using the cloud shouldn't be just about cheap storage. "The cloud is requiring us to rethink long-cherished theories in enterprise IT," said Pacific Life's Trujillo, adding that they caught themselves before making this mistake. "Taking your legacy thinking into the cloud is a big potential pitfall. There are very significantly new and better ways to do things in the cloud than we've all grown up with." For instance, he said they were used to application developers or even business people coming to them and saying they needed a server. IT would tell them how long a wait it would be. "In the cloud, they don't need to come to me," said Trujillo. "They can spin up a server in a couple of minutes. A danger is continuing to be guardians of the gates in the cloud, rather than letting app dev and even business being able to spin things up on their own... We need to switch our minds from being service providers to service brokers." In the end, analysts and IT managers say it's unlikely that companies will avoid every pitfall when it comes to cloud migration. Some problems you can anticipate, some you can't. Build padding into your migration timeline so you can deal with issues when they come up. "Our people don't care about the technology," said King County's Barak. "They just care about the work that needs to be delivered."